Heavenly blog! : No. 807: Christian Persecution claims more is what I feel for Police procrastination and Torp alleged harassment! No. 807: Christian Persecution claims more is what I feel for Police procrastination and Torp alleged harassment! Christian Persecution claims more is what I feel for Police procrastination and Torp alleged harassment! Have been contacted in the past from some who will encourage me and tell that they pray for me, it warms. But there is something else they have pointed out that I really have not given it much thought. There are several say the same thing, that it is pure Christianity persecution I feel that evil and deluded people. 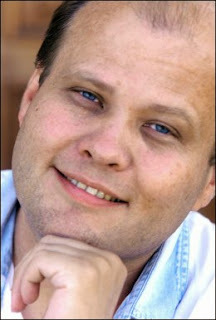 Photo of Jan Aage Torp which is according to those who contact me kristendomsforfølger. But I told beforehand that this would happen, no surprise and that this was suddenly really, who expect get a say! I do jot about how these preachers live but that's what God's word says is crucial. This is what I pointed out, it is so far from the person harassing and otherwise it is possible to get. I hold up my convictions based on God's word, therefore this religion and Christianity covert persecution. Jesus himself said that we would be hated because he was there! Joh. e. 15. 8 If the world hate you, ye know that it hated me first. 19 If you were of the world, the world would love its own. But ye are not of the world. I have chosen you out of the world, therefore the world hates you. 20 Remember what I told you: 'A servant is not greater than his master. If they persecuted me, they will also persecute you. If they kept my word, they will also hold on to theirs. 21 All these things will they do unto you for my name's sake. For they know not him that sent me. 22 If I had not arrived and I had not spoken to them, they would have been without sin. But now they have no excuse for their sin. 23 He who hates me hates my Father also. 24 If I had not done among them the works which none other man did, they had been without fault. But now they have seen the works and hate both me and my Father. 25 But the word that stands in their law might be fulfilled: 'They hated me without reason. This is what I am experiencing now, they hate me for no reason! I keep up what God's Word says about divorce and remarriage, where I specifically point this out over ministers, leaders, pastors, pastors and others with a public service and deed. Only those I mention any names, no one else. What do I get it back? No substantive comments, but lyving, manipulation, and more. That this person is harassment and defamation, for any nonsense. This is what God's Word says about the matter, not more or less. Christian Persecution is this, more or less! I wrote an article about this for one years ago is actually a representation of what I'm experiencing now. Will post this out here in the end, it really tells everything in advance what I'm going through. That persecution in Norway, we must expect coming initially from nominal Christians, not the world. I know this is difficult for many, it was like a said I had stuck his hand into a wasp nest to warn against remarriage among Christians. And now, this has developed into the police and others. What is the way forward? Do one thing, what the outcome is as it has really no meaning as the word of God is forever settled in heaven. About one prevails that remarriage is allowed or not, it's what God's word says and teaches that counts, nothing else. Is it Christian judicial persecution in Norway? As it is in Muslim and other countries? Have a question. Do you think it is Christianity persecution in Norway or are we free from this? Sure it is, and the very worst in this respect are actually those who think they know more than others and act as theologians, evangelists, apostles, prophets, and who has a so-called overseer. They try in every way to close the "door" for both priest and prelate, just as in Jesus' time they performed religious then as now. Of course, different methods, but the strategy is the same. Bring out itself at the expense of others. And would anyone have opinions that do not promote my own views, as is the person lagging behind in many respects. This is of course difficult to understand for the uninitiated. Most people think that the Christian community is good, safe and it is love that prevails. But the truth is that the apostle Paul said: Acts 20. 29 I know that after my departing shall grievous wolves enter among you, not sparing the flock; 30 Yes, among your own selves shall men as perverse speech to lure the disciples after themselves. These are Jesus reviews here: Joh.e. 16. 2 They shall put you out of the synagogues; Yes, there comes a time when whoever kills you will think that he doeth God service. 3 And these things they will do because they have not known the Father, nor me. Joh 5:14 p.m. I have given them thy word; and the world hath hated them, because they are not of the world, even as I am not of the world. Joh 3:18 p.m. If the world hate you, ye shall know that it has hated me before you. World people can not bear the name of Jesus and the "Christian" can not stand the word of God! This I have experienced. After all, my entire adult life has been in the job except ca. 2 years full-time service. A must and can not mention the name of Jesus stand as a will and desire among the children at work. Make one there, so creating a problem for themselves, and do not need it either. Spirits know who you are, and they work through unbelievers if they are managers, employees or whoever it may be at times. Efes. 2. 2 as in time past ye walked according to the course of this world, according to the prince of the air, the spirit that now worketh in the children of disobedience: 3 Among whom also we all once lived in the lusts of our flesh, as we of the flesh and of the mind; and were by nature children of wrath, even as others. Pay particular attention to what the Apostle Paul said here, "according to the prince of the air, the spirit that now worketh in the children of disobedience." Yes, it is unfortunately a fact so great that Satan and the Antichrist Spirit is at work among people today, and it is particularly expressed when God and His light is put on them. Not least through the devoted and consecrated Jesus believers! But it is so much better in the church of God? Long therefrom said Paul. Holds a forward 'unpopular' truths and takes up controversial things and hit "nail" on the head. So flooding the Christians of hate, control spirits and everything else that is of the flesh and Satan. This "wisdom" and these negative qualities characterize the Norwegian Christianity in a too great degree, Jacob 3. 14 But if ye have bitter envying and strife in your hearts, glory not against the truth and lie not against it! 15 This wisdom is not from above, but is earthly, sensual, devilish; 16 For where there is envy and strife, there is fraudulent and all evil. Description envy, strife and all evil characterizes much of Christian Norway. Therefore, they will always resent, hate and oppose those who walk with the Lord as Enoch did. Like Paul, Peter, John, and the early Christians did. If you follow Jesus? It is harder than actually being World Champion or win Olympic Gold! John 15:19 If you were of the world, the world would love its own; but because ye are not of the world, but I chose you out of the world, therefore the world hates you. 1. Joh.519: We know that we are of God, and the whole world lieth in wickedness. This world lieth in wickedness, and unfortunately. The so-called Christians have become a part of this. Therefore, the persecution, resistance and opposition we will be from the so-called Christians in name but not in deed! In the 3rd world it many times easier and more understandable with the resistance believers get when it is so specific and all makes of it. And when it comes mostly from the non-Christian persecution, disregard, and more. But it is always worth pursuing, while the Christians are united against a common enemy. The believers are united among themselves stronger many times in the 3rd world when the resistance and persecution from the world, as I said. But what in Norway and the western world? Where does Satan just as often if not more so-called Christians to pursue, resist and lie on the true believers. And they think that they are doing a service to God by being opponents against God and his servants. The resistance comes from within then that the Apostle Paul spoke of before he left this world. Notice what he said: "I know that after my departing shall grievous wolves enter among you, not sparing the flock; Yes, among your own selves shall men as perverse speech to lure the disciples after themselves. "It should come men in, not outside that created everything that was negative and from darkness and Satan. The apostle Peter says that false prophets: 2 Pet. 2. 1. But there arose false prophets also among the people, as among you also there shall be false teachers, who shall be false teachers that leads to destruction, even denying the Lord that bought them, and bring upon themselves swift destruction. 2 And many shall follow them after their destructive ways, and for their sakes way of truth shall be evil spoken of. It is constantly Ishmael persecuting Isaac, the flesh that will kill and choke the spiritual. How does this persecution today, here in Norway? By boycotting, neglect, spreading bad and untrue rumors, ostracism, by manipulating and putting himself in the center and try to push down those who would follow the Lord. This has not changed, and unfortunately, so it's going to be more or less until Jesus comes again! Stefanus Alliance International and others who set up such. the Vision Norway is more deceived and deceiving than anyone else really. It is strange and wonder Stefanus Alliance International can set up the Vision Norway and speech they persecuted case in a TV channel that is steeped in all that darkness stands for? Think, here, a voice they persecuted case in the 3rd world, but they are the worst to shut out the Lord's witnesses and the word of God. Where one enters, incomprehensible and how spiritually blind can one be and become? Acts 2:22 p.m. as the souls of the disciples, exhorting them to continue in the faith, and that we must enter the kingdom of God through many tribulations. 2 Corinthians 6: 4 but in everything commending ourselves as servants of God, in much patience, in afflictions, in necessities, in distresses. Mark 10. 28 Peter answered and said unto him, Behold, we have left everything and followed you. 29 Jesus answered and said, Verily I say unto you, There is no one who has left house or brothers or sisters or mother or father or children or lands, for my sake and the gospel's, 30 But he shall receive an hundredfold now in this time, houses and brothers and sisters and mothers and children and lands, with persecutions, and in the age to come eternal life. This is a true believer can expect in this world, "persecution". Do not chase, then the question is whether you are a true believer of Jesus? This is a story told first of those who worked in Russia in the magazine Cry of the East, now Stefanus Alliance International. In the former Russia there were many believers who were convicted, then it was as clear evidence that they were practicing believers. But had taken an average Christian in there, then the question is whether there was enough incriminating evidence to put him as a Christian? Is it enough damning evidence that you are a true believer? One of them is that you are under persecution by both the world and the religious, those that Satan has been deceived in this time! Those who live and walk in the darkness for his deeds should be exposed and they will come to the light of his life to be revealed. Therefore, they do everything to stop you as a child of Light, where persecution, expulsion, lies, manipulation, and in every way they try to stop you. Not least, you are a Jehovah witness and proclaim the message of the people of the time. This persecution, resistance and disregard of this world. It is normal condition very often for a true Jesus believer. World people dominates and controls this world as this world is in darkness and in many ways under the control of Satan, and dominion, for the time being! In the New Testament it is primarily Jewish groups who persecute Christians. Only later, and then only for short periods, initiated by the Roman magistrates large scale such persecution. We first hear of this, after the great fire of Rome in the year 64. It is the Emperor Nero himself who started the fire, to clear space in the city for a new palace. But he needs someone to blame, and when he chooses the Christians. It is therefore not a religiously based persecution, but that Nero singling out one group of scapegoats who already had a pretty bad reputation in Rome. It was only under the Emperor Decius, in 250-251, it was initiated a persecution of Christians by the Roman central power. It was a requirement that all citizens of the Roman Empire had to burn incense as an offering, before the image of the Roman emperor. Jews were exempt from this requirement. But for Christians, this was a claim that was unacceptable to fulfill, because it was seen as idolatry. When the Christians were also Jews, was not a problem. Jews were exempt from the requirement. But when it came to the non-Jewish Christians, as it became increasingly more so had they not been the exception. It was only then that this was a "problem" for the Romans. But Decius' persecution was still initiated "from below", from local, popular demands. And then one of his magistrates. And a few years later, in 258, came the next wave of persecution under the Emperor Valerian, for the same reasons as under Decius. By far the worst persecution of Christians occurred under Emperor Diocletian, from the years 303-304 onwards. Put simply was the worst persecution in the East, while the were largely boycotted in the West. The harsh persecution can also be seen in the context that Diocletian would restore Rome's strength and stability - and including the emperor's elevated position. It is not known how many were killed or tortured, but sources suggest that among other Christians in Egypt were especially hard hit. As we know today, however, did not pursue the desired result. Churches continued to grow. Through the "tolerance poem" in 313 Christianity was legally accepted, like other religions. And a few years later, in 324, Emperor Constantine instituted Christianity as the Roman state religion. Other religions continued to be legal. But then it is thus only a few decades before Christianity in 380 was the only permissible religion throughout the Roman Empire.